Recent events in North Charleston, South Carolina show how technology has helped bring about accountability in local law enforcement. Officer Michael Slager was charged with murder in the shooting death of Walter L. Scott. Cellphone video taken by a bystander clearly showed Slager’s actions did not corroborate the sequence of events as he had reported. But what if that bystander had not taken that cellphone video? Another example is the case of Eric Garner of Staten Island, New York. Garner died due to a fatal and illegal choke hold place on him by Officer Daniel Pantaleo. 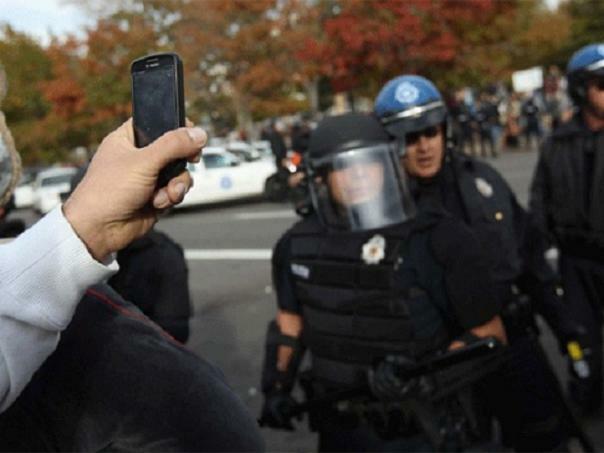 Again, cellphone video was shot by an onlooker. The video appeared to show the illegal choke hold that ultimately led to Garner’s death. The public’s trust in local law enforcement has been eroding. But what is causing this erosion? Cellphone video, streamed continuously via television and Internet, has captured scenes of police abuse of power. These images of abuse, coupled with the reluctance of grand juries to indict police officers for their actions, are major factors in the loss of trust in local law enforcement. If there is any question about this consider what is seen as the top news story on every major network every evening. How often can anyone recall something “good” being the lead headline or better yet something “good” done by the police? Law enforcement jobs are difficult and dangerous. The police see the dregs of humanity on a daily basis. They see the worst in people and in the worst possible circumstances imaginable. While I don’t have solid evidence, I do believe that 99.44 percent of law enforcement do an incredible, mind numbing good job. However, it is the 0.56 percent that makes it tough on the rest of the dedicated law enforcement individuals throughout our country. Reviewing how federal support for local law enforcement equipment is acquired. Creating a task force on 21st century policing. Developing a community policing initiative. The community policing initiative includes a “proposed three-year $263 million investment package that will increase the use of body cameras, expand training…add more resources for police department reform.” However, body cameras are not a panacea as many in the general public, and the police departments, would like to believe. There are no studies that prove body cameras will actually prevent violence. “The people who like body cameras always point to a study done in Rialto, California, in 2012. Researchers found that officers who wore cameras used force less often — incidents dropped by more than 50 percent,” as reported in All Tech Considered, by Martin Kaste. The article suggests there are unintended consequences to wearing body cameras such as family members seeing their police officer father, husband, wife, sister or brother shot a suspect and the video appearing on the news. I believe police body cameras will help in the legal process, most of the time. While this is at least a start, it will take the public a long time to forget the deaths of Garner and Scott and the list of others who have died in similar incidents: Michael Brown from Ferguson, Missouri, Tony Robinson, Jr. of Madison, Wisconsin, Tamir Rice of Cleveland, Ohio and Dillon Taylor of Salt Lake City, Utah. Author: Michael Faass, is the owner of R3 and a MPA graduate of the University of North Georgia.